The Mountain Equipment Shield Jacket is a highly protective Gore Windstopper Hooded Soft Shell jacket. The main body, sleeves and hood are Gore Windstopper offering great weather resistance. 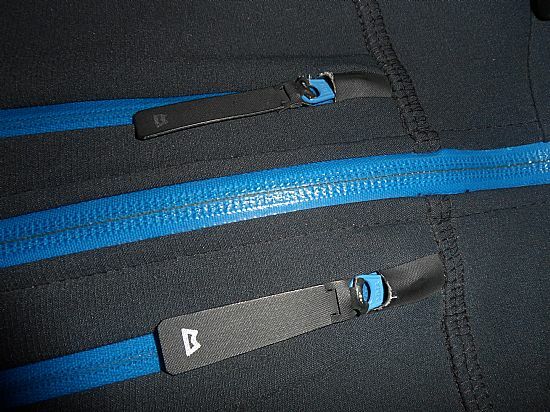 Whilst the side panels, armpits and part of the underarms are Polartec Powershield Lite; providing some airflow to aid breathability. Typically zoned fabric construction doesn’t work very well in jackets with the difference in fabrics being too disparate (e.g. using one completely windproof not very breathable fabric and another highly breathable but non-windproof fabric leading to overheating whilst active and then overcooling when stationary). However, the combination of fabrics in the Mountain Equipment Shield Jacket complement each other very well; with the Gore Windstopper fending off the worst of the weather whilst the Polartec Powershield Lite allows enough airflow permeate without leading to excessive cooling. The Mountain Equipment Shield Jacket features 4 external pockets; 2 napoleon chest pockets and 2 hand pockets. The 2 napoleon chest pockets offer good accessibility for small items (won’t fit a guidebook). 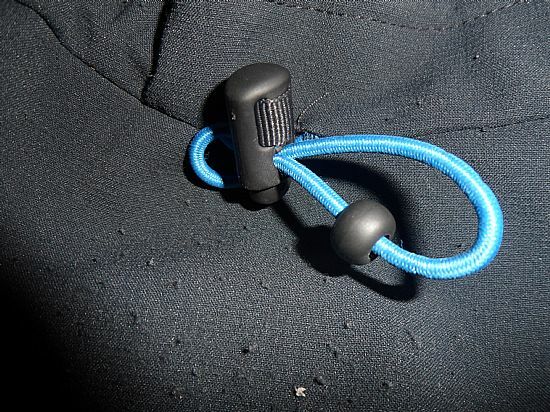 Mountain Equipment claims the 2 hand pockets are accessible when wearing a climbing harness or rucksack. Unfortunately this is not the case, whilst you may be able to access the zips and squeeze your hand in you cannot fully access the pockets whilst wearing a harness or rucksack. The Shield jacket features a grown-on helmet compatible hood which offers excellent fit with or without a helmet (tight fit over a helmet). 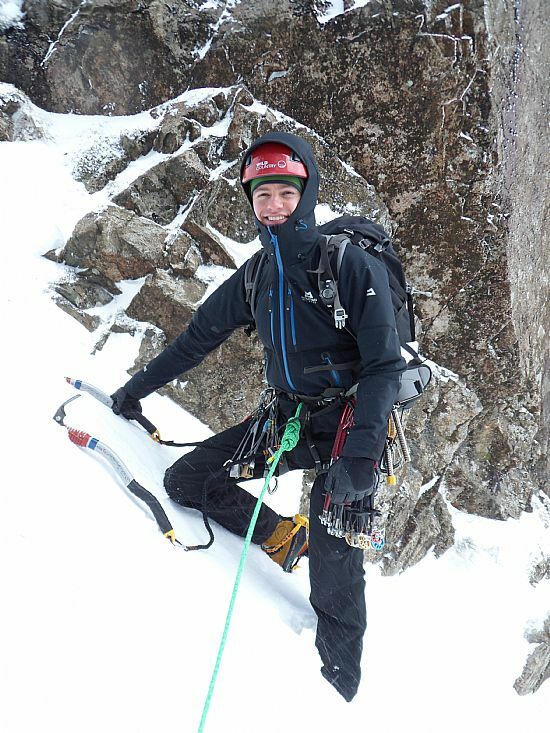 Mountain Equipment hoods always seem to sit quite low across the forehead; this offers better weather protection for the face but does very marginally compromise visibility which some people may not like. The cuff design originally featured a stretch inner cuff and a tapered sleeve. Whilst this was low bulk and hassle free it never fully sealed the wrist without gloves and then was too tight to easily fit over when wearing bulkier gloves. Mountain Equipment has now reverted to a more traditional design of a Velcro cuff, although they should be commended for trying to achieve a better cuff design without Velcro originally. Fabric combination of Gore Windstopper and Polartec Powershield Lite ideally complement each other with a great balance of weather protection and breathability. Grown on helmet compatible hood offers excellent weather protection and good adjustability. Well featured and good levels of weather resistance for such a light weight jacket (540g versus 760g for a Rab Baltoro Guide Jacket). Pockets are not completely accessible when wearing a harness or rucksack. Wet weather performance is limited by the seams (i.e. water resistance or waterproofness is limited as the seams are not taped) inevitably leading to a shell jacket in heavy rain. 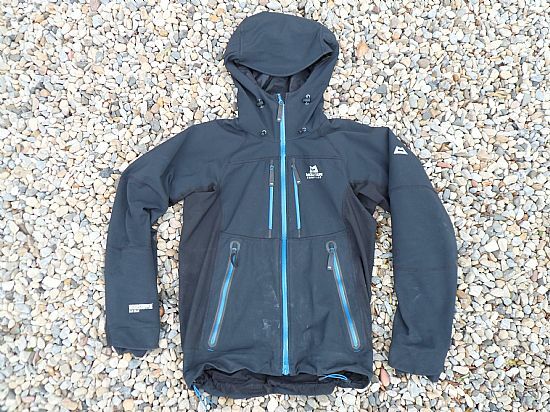 The Mountain Equipment Shield Jacket is an excellent highly protective soft shell. Its fabrics offer a near perfect balance of weather protection and breathability; combined with its excellent grown on hood it allows the user to wear the jacket in the majority of weather without reaching for a shell jacket at the first sign of rain.